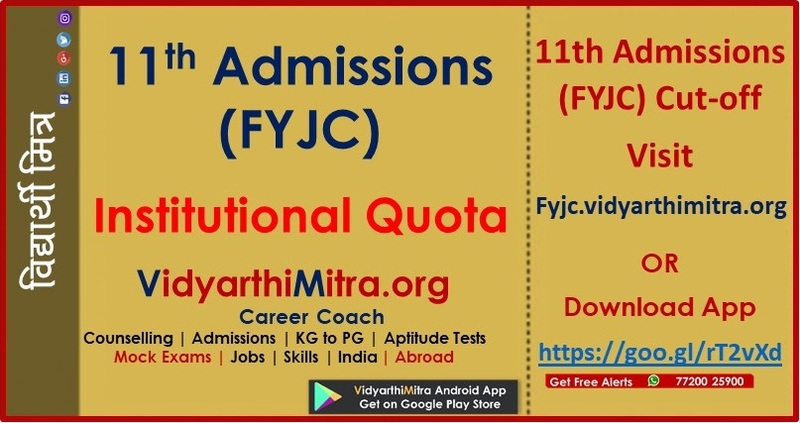 The FYJC second merit list announced on Thursday has left several high-scoring aspirants high and dry following the recent interim order of the Bombay HC (see box). “We are following the court’s orders. Through the centralized admission process (CAP), we are allowed to allot only 25% or 45% of the total seats at minority institutions depending on their quota,” said Suvarna Kharat, joint secretary, school education department. The announcement of the second list was delayed to Thursday to fulfill the HC’s requirements. Kharat said the new list of reduced seats available will be on the admission portal by Friday evening. The HC will next hear the case on July 25, a day before the third list is to be announced. The vacant quota seats at minority institutes will now be available to open category students only at the end of the regular rounds of CAP. Kharat said it is yet to be decided how the quota seats will be allotted. After the change in the seat matrix, several minority institutes were not allotted any students from the general category in the second merit list. “We have not been allotted any general category students for the arts and science streams and only 38 students in commerce. We had surrendered our vacant quota seats before the CAP rounds began,” said Ashok Wadia, principal, Jai Hind College, Churchgate. Similarly, at K C College, another popular institute, there was no merit list for arts and science. 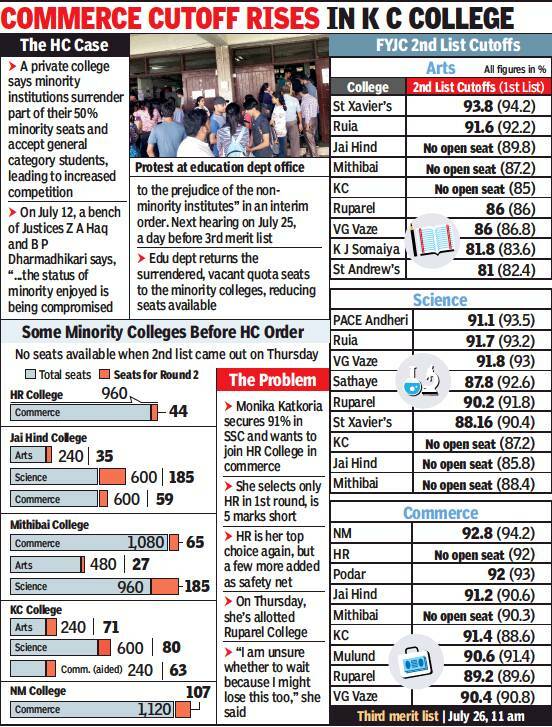 “The second list cut-off for commerce has increased from the first because we expected 60 seats for open category allotment, but received only 28,” said principal Hemlata Bagla. At neighbouring H R College, only one student was allotted, that too under the physically handicapped category. “We had around 50 seats since we had surrendered our minority seats,” said principal Parag Thakker. Students and parents gathered in strength at the education department’s office on Thursday, demanding CAP be shut down. 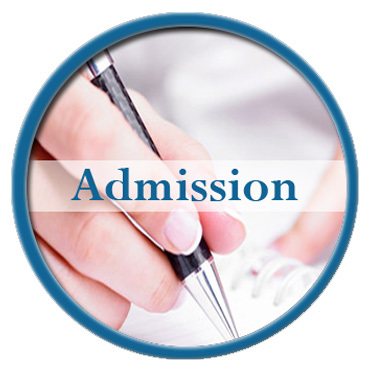 “It was easier to visit individual colleges and fill up admission forms. The government should have put up the revised vacancies before announcing the second merit list. We should have been allowed to change our preferences on the basis of that,” said a parent. Some parents submitted a letter to the deputy director of education. “We had to follow the HC directions. We will put up vacancies available for the third round on the admission portal on July 23. Students can apply on the basis of that,” said Kharat. TIMES VIEW: This litigation could have been timed better so as not to coincide with admission season. The education department, while following the court’s orders, must ensure students are not affected. 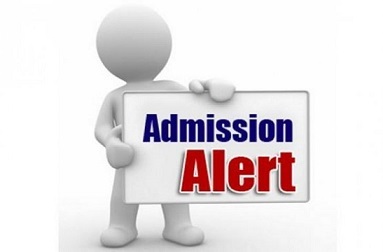 Seats, once surrendered after the end of the centralised admissions process, must be allotted on the basis of merit and not on a first-come-first-serve basis as is the practice for the extra rounds.